Airports Archives | Jet Partners Worldwide, Inc.
After decades of protests from residents and the city itself, the FAA and the city of Santa Monica have reached a compromise — moves to finally phase out the Santa Monica Airport (SMO) are underway. The complete shutdown of the airport will happen on December 31, 2028, but as of the end of January 2017, it’s been announced that the SMO is about to enter the beginning phase of shutdown. The call to have the SMO shut down began in the 1980’s, so this move was a long time in the making—around three decades, in fact. However, it was only this year that the city of Santa Monica finally had its way. 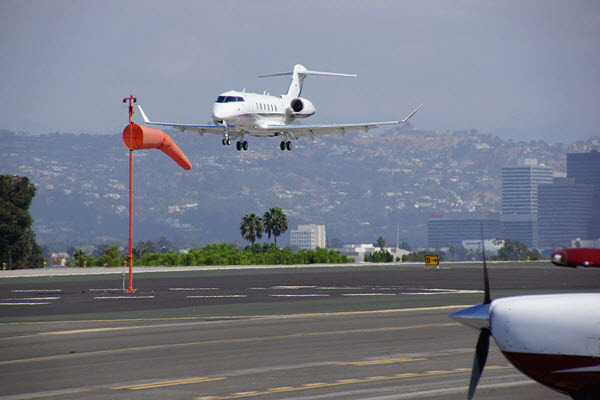 Of course, private jet owners and operators can still go through the Van Nuys Airport (VNY), Burbank Airport (KBUR), or the Los Angeles International Airport (LAX), but as we all know, the commercial air carrier traffic is considerably heavier at these airports. What Does This Mean for Smaller Aircraft? The good news is that the runway shortening will affect commercial flights, for the most part, and aircraft that can manage with just 3,500 feet of runway can still use the SMO. However, for clients with larger aircraft, it may be high time to start using the other airports. “This a historic day for Santa Monica. The FAA has finally and categorically said that we could do whatever we want with our land at the end of 2028. This is a windfall for the residents of the city.” – according to Santa Monica Mayor, Ted Winterer. In place of the airport, plans are underway for a public park and recreational facilities. The City of Santa Monica is required to keep the airport fully operational until 2023, as the city received a federal grant for the SMO’s improvements. Meanwhile, though, two fixed base operators, the Atlantic Aviation and the American Flyers, have been evicted. In their place, the municipal employees of the City of Santa Monica have taken over operations. As the Santa Monica Airport is closing, height restrictions for building construction will be relaxed. Thus, there just might be a wave of new high-rise developments in the area over the coming years. This fall, during the college football season, travelling to a SEC football game on a private jet is an event to add to your “To Do” list. Getting to a game with a private jet charter can greatly enhance the experience for any group of fans. There are many reasons why SEC Football attracts spectators from near and far. For one thing, college players are supercharged with the added motivation of representing their alma mater. Watching the game live is the ultimate fan experience and makes for an exciting day all around. The SEC is particularly entertaining due to its long-standing rivalries. School spirit is extremely palpable in almost every city that hosts a university with athletics in the SEC. Perhaps the best reason though is that you will never see trick plays like the Clemson Two Point or the LSU Fake anywhere else. Anything can happen here and you can be sure that in the SEC, it eventually will. This October the SEC has seven teams in the top 25, nearly as many as the ACC and the PAC-12 combined. Now is the time to go, but this is the kind of event where a commercial flight to the field just won’t cut it. Convenience: You can have a car or limo pull right up next to the jet while everyone else is still waiting for their checked luggage to appear. Security: Do you really want to be patted down while grand-mothers are searched at the security gate? In a private jet, you know everyone on your flight and will all board the aircraft moments after arriving. Less stress: For the most part, the big schools have private airports that are much closer to campus than the commercial airports. Avoiding the hassle of traffic alone will make for a much more enjoyable trip. Average fans usually assume the cost of flying private keeps it out of their reach but this is not always the case. For most trips the cost will be higher than commercial but empty leg flights can sell for a fraction of regular retail rates. Jet Partners’ empty leg listings are updated in real time, giving you access to these low cost charter flights as soon as they become available. When choosing an aircraft you should consider the size of your group and distance traveling. Turbo Prop Aircraft: Range 1,500 miles +, seat up to 9 passengers. The most popular models are the King Air 90, King Air 200 and Pilatus PC-12. Light Jets: Range 1,600 miles +, seat up to 8 passengers. The most popular models are the Lear 40XR, Citation CJ3, and Hawker 400XP. Mid-Size Jets: Range 2,500 miles +, seat up to 9 passengers. The most popular models are the Citation XLS, Lear 60 and Hawker 800XP. Super Mid-Size Jets: Range 3,400 miles +, seat up to 9 passengers. The most popular models are the Citation X, Falcon 50 and Challenger 300. Heavy Jets: Range 4,350 miles +, seat up to 18 passengers. The most popular models are the Challenger 604, Falcon 2000, and Gulfstream IV. *Aircraft range and seating listed above are based on typical specifications and may vary. For those extra-special clients, family gatherings or celebrations, reserving a private jet to a SEC game will bring a whole new level of awesome to your next touchdown or post win celebration. If you would like more information or pricing for chartering a private jet for a SEC football game or any other trips call or email Jet Partners today. When traveling by private jet charter to or from New York City there are several different airports from which to choose. New Yorkers who charter aircraft frequently always have their preferred airport. So what are pros and cons of using the different NYC Metro airports and which is the best choice for your private jet charter New York City? Teterboro Airport (KTEB) handles the highest volume of general aviation flights in the region. It is the most popular executive airport for those going to or from Manhattan due its close proximity to the heart of New York City. Located just over 13 miles from Midtown Manhattan, the drive to Teterboro can take as little as 20 minutes with no traffic. Being just west of Upper Manhattan, you have the choice of using the Lincoln Tunnel or the George Washington Bridge. Westchester County Airport (KHPN) in White Plains, NY is the choice airport for Greenwich and Stamford, CT area residents but it is also popular with many people traveling to and from NYC. HPN Airport is located about 33 miles north of Midtown Manhattan. The airport can be reached by many different driving routes letting you easily bypass rush hour delays. Westchester County Airport’s suburban location also means there is less air traffic. It’s distance from the region’s major commercial hubs helps reduce the chance of flight delays making it an attractive option for those traveling on a tight schedule. Republic Airport (KFRG) is located in Farmingdale, NY just 35 miles east of Manhattan on Long Island. This airport is often used by those traveling to or from Queens and Brooklyn but want to avoid the chaos of the major commercial hubs JFK and LGA. The location of the airports mentioned is, many times, the deciding factor for charter flight passengers but sometimes a good deal can persuade a change. The New York Metro area is one of the busiest in the country for general aviation flights. With so many aircraft flying in and out of these New York Airports there are always empty legs or unoccupied positioning flights available. Empty leg flights are the best way to save on one way private jet charters. Charter customers on a budget will often switch to an alternate airport if they can save enough. Next time you are booking a private jet to or from a New York Metro Airport you may want to ask if you can save any money by using an alternate location. Internet search kingpin Google and aviation fuel supplier/FBO Signature Flight Support are in the final stages of negotiating a deal with the City of San Jose, CA to build an $82 million facility at SJC Mineta San Jose International Airport. Currently Google’s fleet of private jets and aircraft is based at Moffett Field, which could not be closer to their corporate headquarters, in Mountain View, CA. So why are they making the move to SJC in San Jose, CA? For one, Google’s lease at Moffett Field is up next year. In addition, there has been an increasing amount of criticism over Google’s use of Moffett Field (NUQ Airport), in particular from a Republican Senator from Iowa Charles Grassley. It is not completely clear why a Senator from Iowa would be so concerned with an aviation facility in Northern California; however he did feel so compelled as to write a letter to the head of NASA. 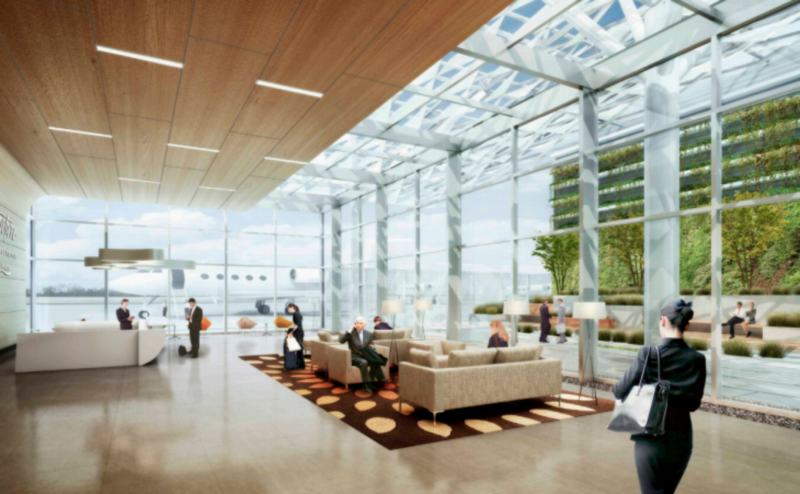 Signature Flight Support’s new facility at SJC Airport will not only benefit Google. Of the seven additional hangars being built five will be used by Blue City Holdings, the entity in charge of managing Google’s aircraft fleet. The remaining two hangars will be used to attract and accommodate more private jets and general aviation aircraft to Silicon Valley. Construction plans also include a new executive terminal, aircraft servicing facilities and additional ramp space. A number of local residents are concerned that the influx of so many aircraft to the small airport will eventually result in a change to the 11:30PM to 6:30AM curfew at San Jose International. Currently there is an ordinance which prohibits aircraft that produce over a certain amount of decibels from takeoffs and landings late-night till morning. Mayor Chuck Reed, along with others familiar with the deal, are assuring residents that there has been no talk of changing the current hours of operations at the airport and it has even been suggested that compliance of the curfew is included in Signature Flight Supports’ lease with the airport. Proponents of the construction and renovations at KSJC are adamant that only good will come from Google’s move and Signature Flight Support’s new facility. It has been suggested that, between construction and airport operations, as many as 600 direct and indirect jobs could be created as a result of the new facility. The airport itself will also be receiving some much needed revenue from the increase in landing fees and fuel sales. The increased traffic to San Jose International will also create incentive for new businesses at and around the airport, creating additional rent revenue for the airport. The project as a whole is also going to mean a huge boost in tax revenue for both San Jose and California at a time when it is certainly needed.